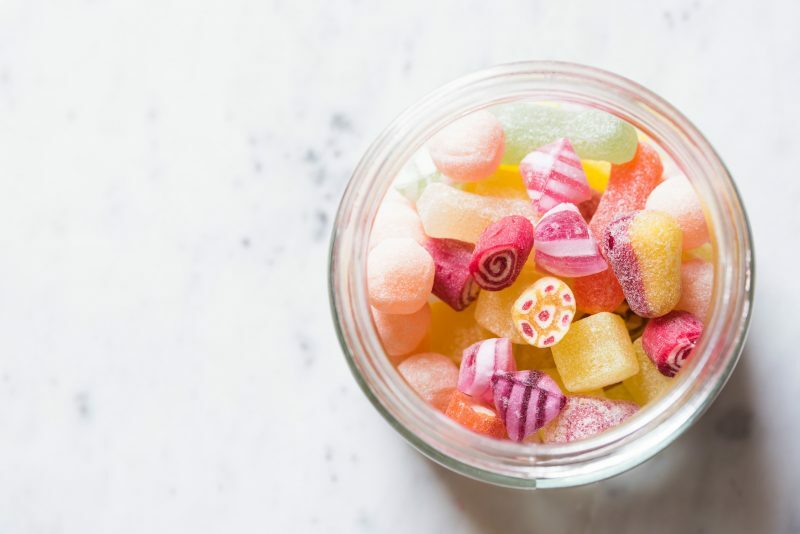 8 Ways to End Your Late Night Sugar Cravings for Good! Late night snacking can become a bad habit that prevents us from reaching our goals. It’s important to approach change with curiosity and action. We cannot force change to happen if we don’t have an understanding of what’s causing us to behave in a certain way. This is just as true applied to other areas of our lives as it is with our eating habits. Imbalanced hormones and unstable blood sugar are often the lead cause of late night cravings. 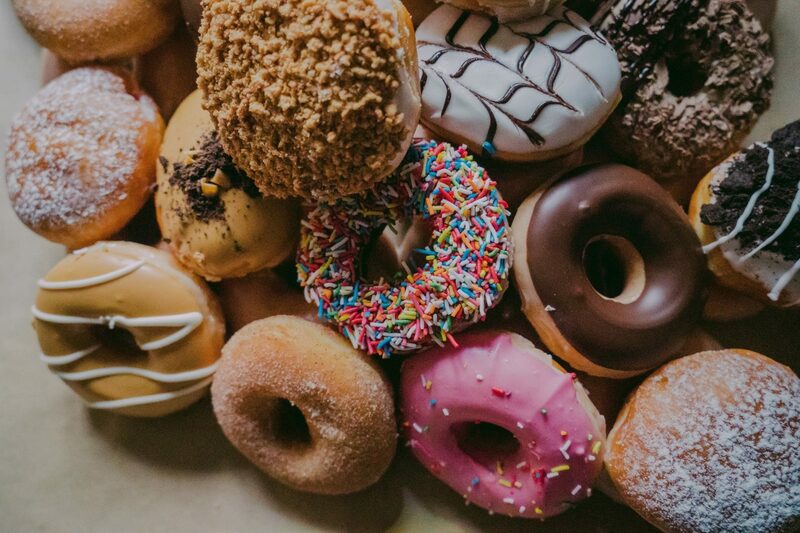 While you may be able to avoid late-night snacking a majority of the time with sheer will-power, the reality is, late-night cravings are uncomfortable and usually indicate something isn’t quite right. The following tips below will help you to get your system in balance and break the cycle for good. One of the most common culprits of late-night snacking is not eating enough during the day. If you’re being overly restrictive in an attempt to lose weight, or just forget to eat during the day, this could backfire when the night sets in. Being under-nourished or craving sugar can prevent us from falling asleep. Rather than restricting yourself, try crowding your plate with Clean Eating recipes so you can stay nourished, get enough, and stop those late night hunger pangs. While calories are important to an extent, nutrient density is even more important than calories. 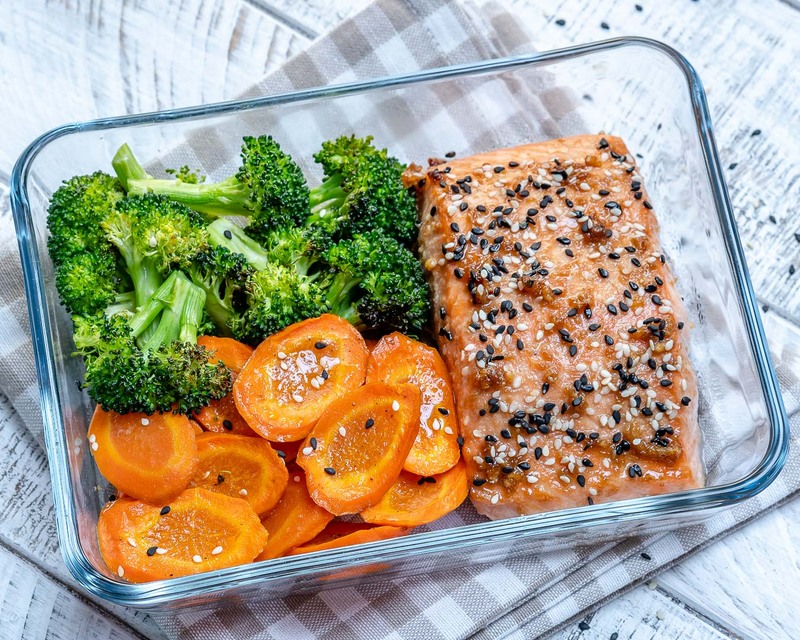 You can get 500 calories eating a small bag of chips and you’ll be hungry in an hour, or you can eat a piece of salmon and some veggies and feel satiated for much longer! If you feel bloated, inflammed, exhausted and hungry; it might be time for a detox! 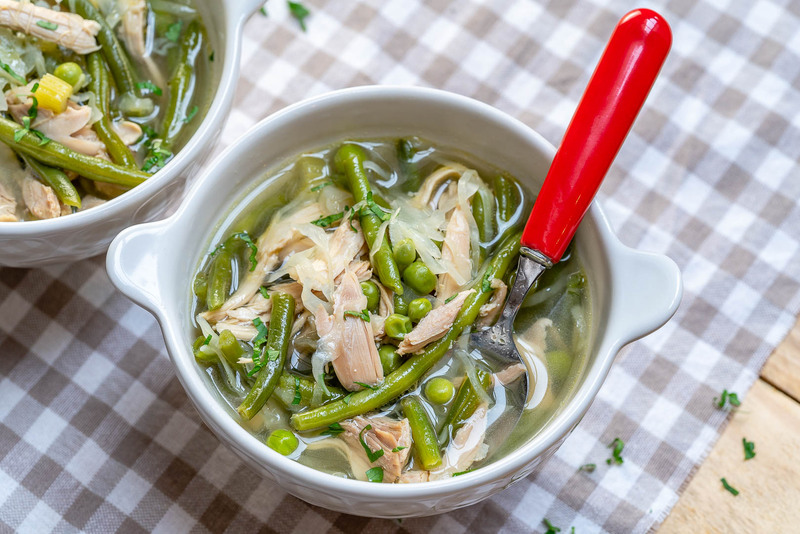 You don’t need to ONLY eat this soup every day, but it’s a wonderful addition to your weekly menu. Sometimes our digestive system needs a little break, especially if we’ve been eating a lot of processed foods or sugar. This detox soup recipe will help you beat sugar cravings and help you shed water weight. Bitter foods stimulate the liver to produce bile, an important part of digestion . Try grapefruit, dark-leafy greens like arugula, collard greens, dandelion greens and kale. Magnesium and zinc both play roles in regulating insulin and glucose in the body. A deficinecy in these minerals can lead to cravings for sugar. If you find yourself craving chocolate frequently, this may be a sign that you need to dose up on minerals. And, let’s be honest, there’s nothing wrong with having a love for chcoolate. Making the better choice is half the battle. 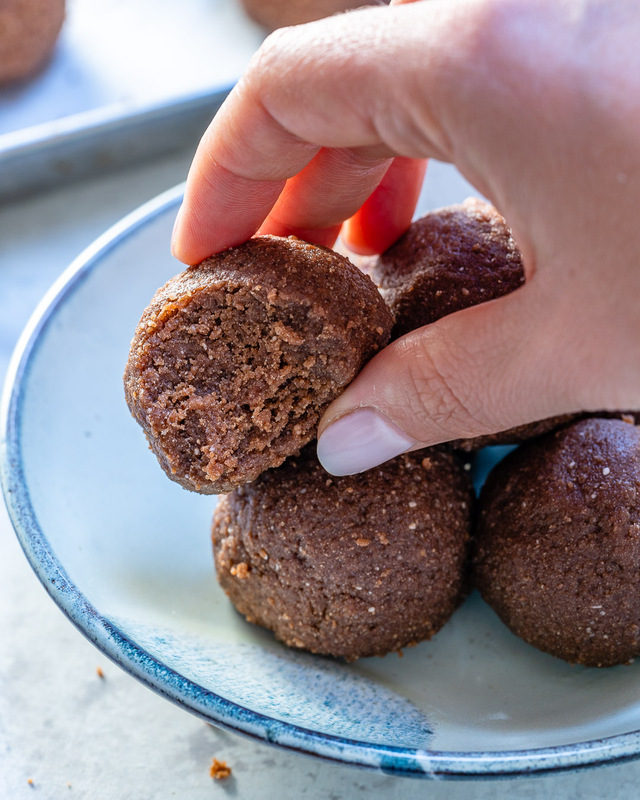 If you’re going to go for chocolate, make it dark chocolate and either make treats for yourself like these Chocolate PB Protein Bites or purchase a low-sugar option and moderate your consumption. Taking L-glutamine at the onset of your sugar cravings can help reduce the intensity and kick the cravings to the curb. Try taking around 500 mg 3 times a day. You can take an extra dose when you have a craving for something sweet. 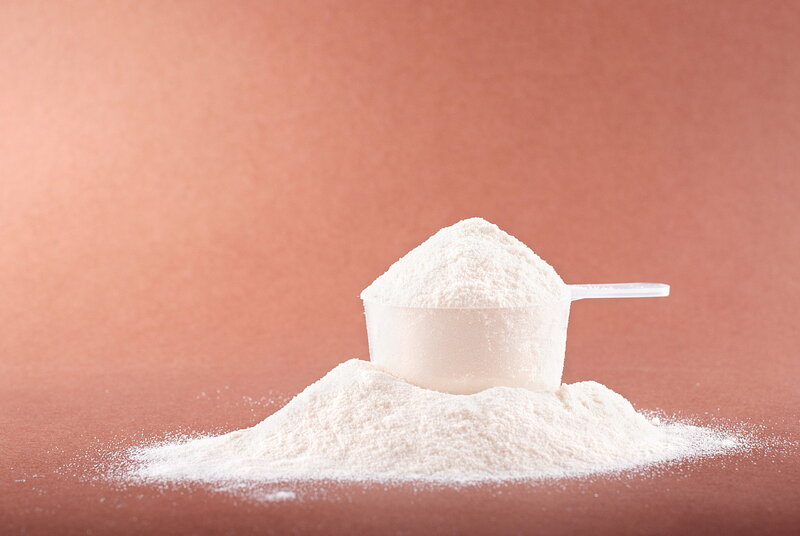 Glutamine is a simple amino acid that helps to stabilize blood sugar. While you’re waiting for the craving to pass, make sure you have a plan! Drink your glass of lemon water, take yourself on a walk, or pick up a book to get your mind in the zone. *Be sure to consult with your care provider if you have any health conditions or are on pharmaceutical prescriptions. If your routine consists of Netflix and snacking, it’s going to be very difficult to break this habit without a plan! 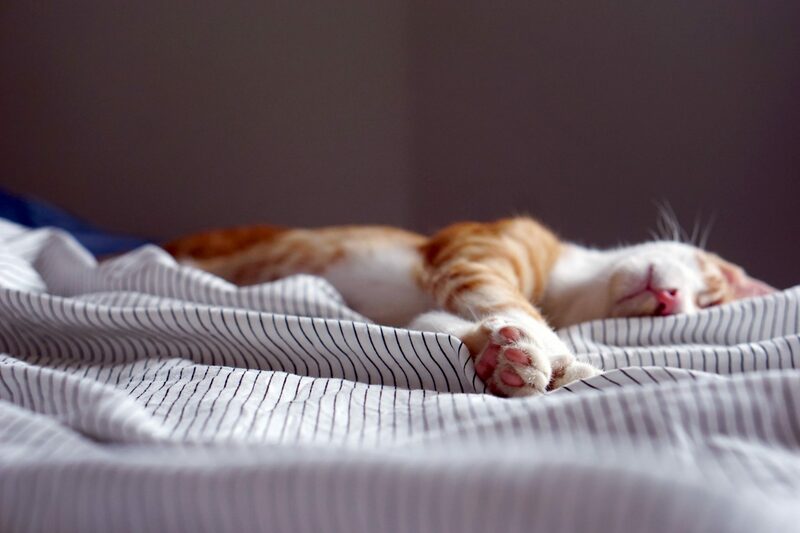 Consider having a no-screen policy after a certain time at night, or give yourself 1 hour of screen-free time to stretch, drink water, and read before you fall asleep. 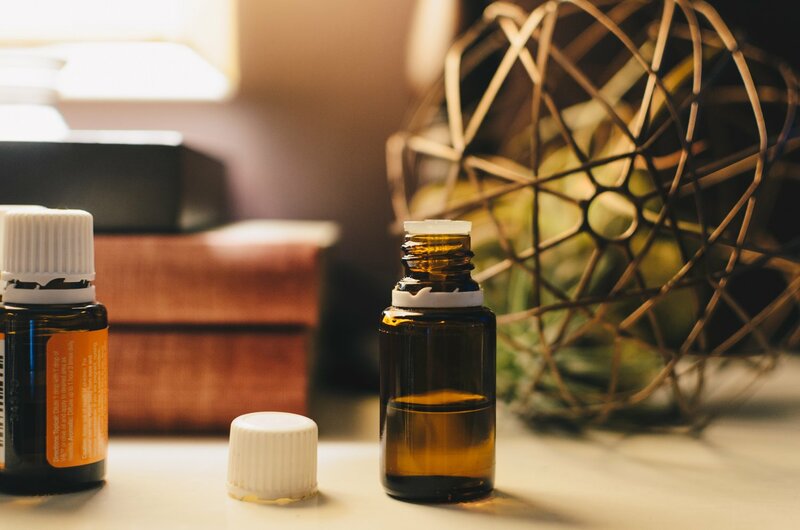 Not only does this improve brain health, but it can lower levels of stress and anxiety too. It’s also important that you get into bed before your second win to avoid cravings. If you’ve incorporated all of the other tips in this article, you’ll find that this is the last piece of the puzzle. You’re building new habits, so be gentle with yourself and ask for support if you need it! The doors to the 30 Day Clean Eating Challenge are open to you if you want to take your goals to the next level.